River flooding is a natural phenomenon - World Rivers Become a Patron! In recent years, we have seen terrible images of the destruction from the floods. Here I will refer the flooding from the river. The water has destroyed homes and other property, even human lives. But, what is the story with the floods? First, we must deconstruct two things. We have to distinguish the floods from the damages of the floods. For years, human civilization was trying to prevent any flood. It was regarded as dangerous, and with the advent of technology, we humans believed that we can tame Mother Nature. But very often, this very defense of the floods brought about even more catastrophic damages from floods. First, we have to change the attitude. We can win the nature. We can’t prevent the floods. And we must know and act accordingly that floods are very natural things. Thus, we have to prevent floods in our homes, but not in nature. Quite the opposite, we must flood nature for two reasons. By flooding natural flooding areas like river floodplains, the pressure is reduced on human infrastructure. Then, floods actually keep natural systems alive, like great biodiversity, but also bring us an indirect benefit called ecosystem services. This will be touched upon in future posts. River flooding indeed is a natural phenomenon. 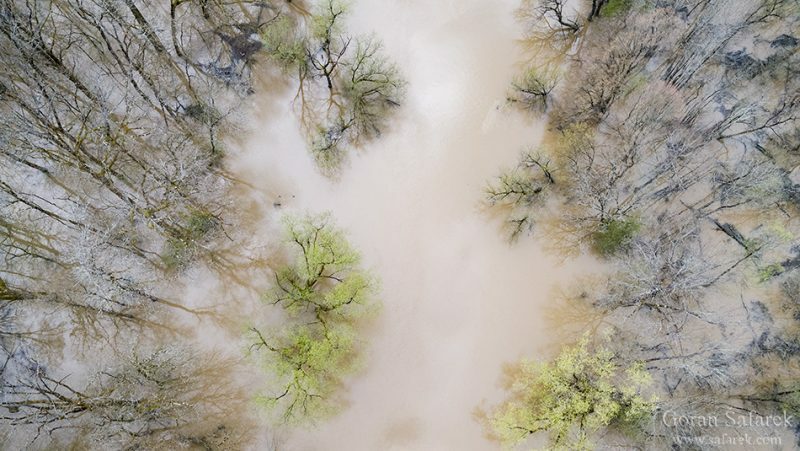 Just as rain falls and ice and snow melts, rivers will flood and this story is as old as the planet (from the point where water condensed enough to start hydrologic cycle). There are many types of river flooding, depending on the geology relief, climate etc. Typical flooding is completely normal for lowland slow rivers with huge floodplains. The river swells with water and eventually, there is so much water that it must spill across the river banks. This is Kopački rit, the huge floodplain of the Danube River. 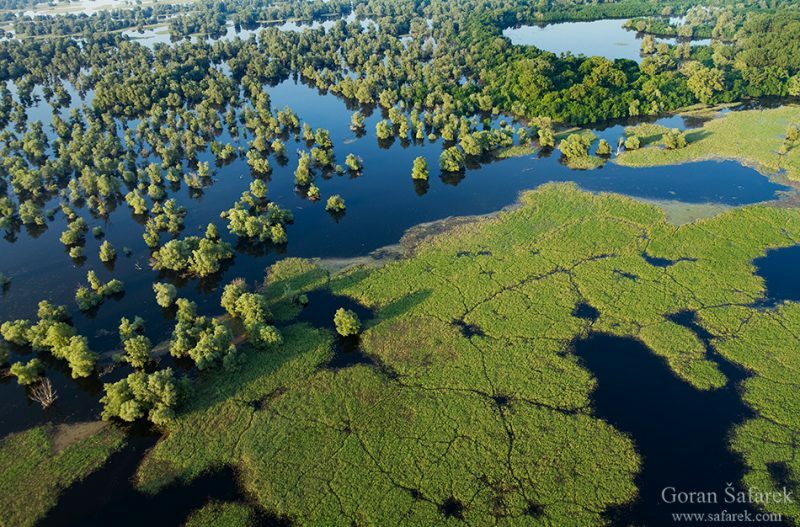 During high water, in May or June, mighty Danube spills into the spacious floodplain with reeds, sedges and willow flood forests. This is the normal annual cycle. It is huge retention for floodwater, as surplus water can’t be evaporated so quickly, especially when alluvial underground is already saturated with the water. This is the Danube River during the flood. 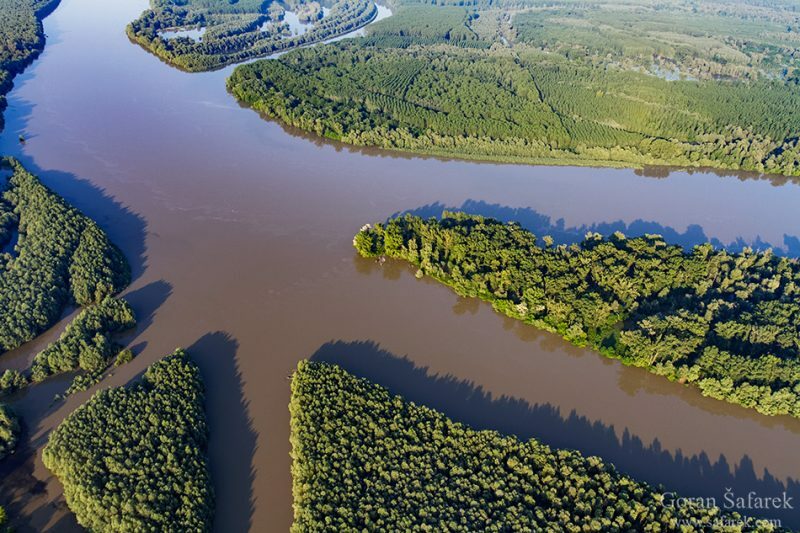 Note that water from the main channel not only spills on all sides over the river banks but also entering deep in the floodplain through natural channels (side branches). Today, much of the floodplains are destroyed and reduced so we have an impression that floods are something unusual, even menacing. So be careful, do not confound natural river flooding with damages from the floods. We can’t stop rains and snowmelt, so we can’t stop natural floods too. But we can adapt and protect from the catastrophes. 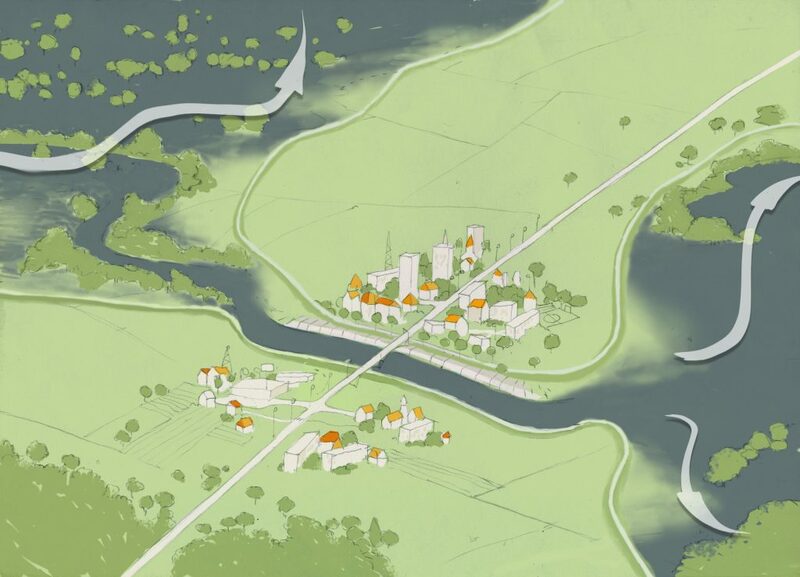 Furthermore, after decades of only technical solutions to the flood protection, new approach emerges: let the rivers flood their natural floodplains so people and the infrastructure will be less threatened. In this way, we also keep the biodiversity. Floods are ‘acts of God’. But flood losses are largely acts of man. GILBERT F. WHITE, prominent American geographer, sometimes termed the “father of floodplain management”.